Falmouth native Joel Clement says Interior Department officials retaliated against him in 2017 for his outspoken comments on the threat posed by climate change. Rep. Chellie Pingree has invited Joel Clement, a Falmouth native and climate policy expert, to Tuesday's State of the Union address. She said Democrats in Congress "are certainly going to be opening investigations into any efforts to disband research on climate change. It seemed like a good reason to bring him to D.C. to discuss his agenda." Rep. Chellie Pingree of Maine is making a statement on climate change by inviting to next week’s State of the Union speech a former government scientist who filed a whistleblower complaint against the Trump administration. Joel Clement, a Falmouth native and climate policy expert, made national headlines in 2017 when he alleged that Interior Department officials retaliated against his outspoken comments on the threat of climate change by reassigning him to a job in an accounting department. Since then, Clement has spoken to audiences in Maine and around the country about what he says are the Trump administration’s efforts to “silence science” on climate policy. Pingree, a Democrat who represents Maine’s 1st District, invited Clement during a week when she was also named vice chairwoman of a congressional subcommittee that oversees the Interior Department, the Environmental Protection Agency and related programs. Clement said he isn’t expecting to hear much from President Trump about climate change during the speech, other than potentially “snide comments” about the polar vortex that has plunged the Midwest into a deep freeze. “That being said, I think it is important to be there and advocate on the issue,” Clement said Thursday. Each member of Congress is allowed to invite at least one individual to the State of the Union speech, which was rescheduled for Tuesday because of the 35-day partial government shutdown. Some lawmakers have used those invitations to make political statements during an event that is often more about optics than policy. Republican Sen. Susan Collins has invited state Rep. Kathleen Dillingham of Oxford, the Republican minority leader in the Maine House. Neither Sen. Angus King, an independent, nor Rep. Jared Golden, D-2nd District, has announced a guest. Clement, a biologist, grew up in Maine and worked for years for nonprofits before taking a job as a senior policy expert on climate change with the Interior Department. In that capacity, Clement worked closely with Native communities in Alaska who are seeing their coastal homelands submerged by rising sea levels. He was still in that position – and speaking out about the threats of climate change – in 2017 when he and about 50 other senior department staff were involuntarily reassigned by former Interior Secretary Ryan Zinke. Clement was reassigned to an accounting department that collects royalty checks from fossil fuel companies. Clement filed a whistleblower complaint with the U.S. Office of Special Council in July 2017 and penned an op-ed in The Washington Post outlining his allegations. That case is still pending, and Clement left that job in October 2017. He is now a senior fellow on Arctic issues at Harvard University’s Kennedy School – a position that allowed him to re-establish his Maine residency – as well as a senior fellow at the Union of Concerned Scientists. But Clement hasn’t lightened up on his criticisms of the president – calling him ignorant and uninformed – or the priorities of his administration. “Here is a president who doesn’t know the difference between weather and climate,” Clement said. Clement said he looks forward to continuing to work with Pingree, who has made addressing climate change a top priority during her congressional career. Most recently, she signed onto a large climate-related bill known as the Green New Deal – a bill that Clement said combines climate action with social justice and economic issues. “It is ambitious and tackles all of the intersectional issues that we need to go after,” he said. 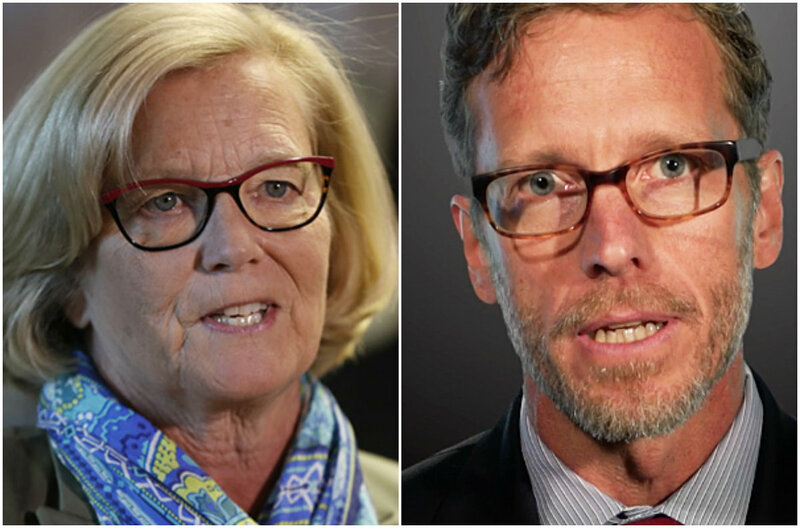 Pingree, meanwhile, hopes to introduce Clement to other congressional leaders on climate issues, including Rep. Betty McCollum, D-Minnesota, the chairwoman of the House Appropriations Subcommittee on Interior, Environment and Related Agencies. Pingree was named as subcommittee vice chair Thursday.